Because nearly all of our treks and tours are now available with at least one overnight homestay with a local family, we thought it would be a good idea to give our clients a few great reasons why they should consider adding one to their travel itinerary. Ayni Peru works directly with Peruvian communities to establish, develop and monitor unique homestay experiences for our clients. Host families set their pricing, and are paid directly by us. This unique relationship allows us to develop trust with the community, and to create truly exceptional programs for travelers. Best of all, the full payment that families receive for each visitor stays in their community! While we do offer some extremely remote homestays on our treks, the majority of our homestays are located just outside sights that you’ll probably want to see anyway! 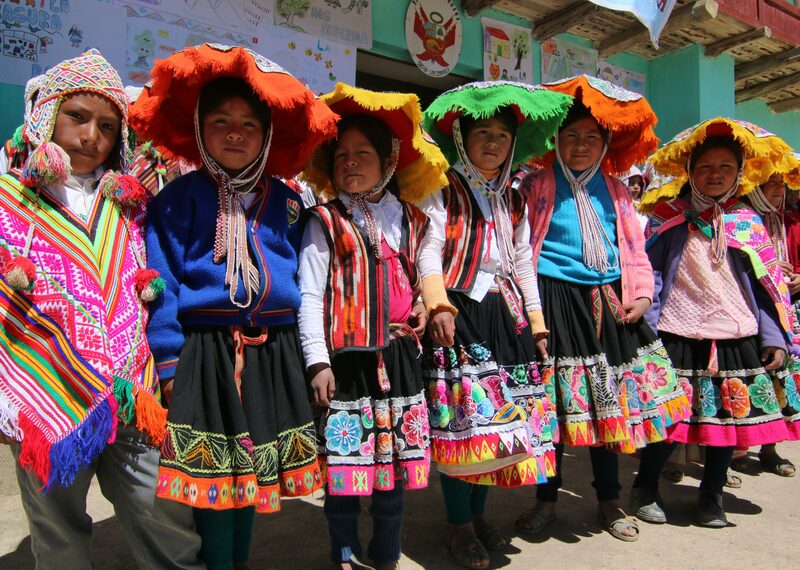 To name a few, our homestay families in Lima, Ica, the Colca Canyon, Lake Titicaca, Uyuni, La Paz & the Sacred Valley all offer the opportunity to mix the most popular highlights of each country with genuine interaction with locals. In addition, the location of family homes allows our clients to avoid the most crowded periods at certain attractions, by arriving before or after larger tour companies pass through. While there are basic standards we ask all families to adhere to, each family, home, and region are quite different! You’ll be able to see this for yourself, get to know each other, and often form lasting friendships. Rather than simply passing through the country quickly, you’ll learn what makes each area (and family) special. A Great Deal For Everyone! You save on hotels and receive delicious home cooked meals and the opportunity to experience authentic regional culture first hand. Families supplement their income with very little initial investment and learn about a different culture (courtesy of you!) without leaving their home. You’ll be paying homestay fees directly to your host family, so you’ll see your money go where it should. We mean this in the best way possible! Whether it is participating in community or family activities, helping prepare meals, or learning a little Quechua or Aymara, each homestay is unique, and the events you experience can be quite spontaneous. The best Peru homestays are a true highlight of any tour or trek. They include a private room, dinner and breakfast with your family, community-led activities, and plenty of time to relax and learn about the daily lives of your hosts. In most areas, a guide will accompany you as well, as there may be language barriers, and/or because the stay is part of a multi-day tour or trek. Pricing is set by each family, but the cost is about $30.00 per person in most homes. This price includes your room, activities and meal.